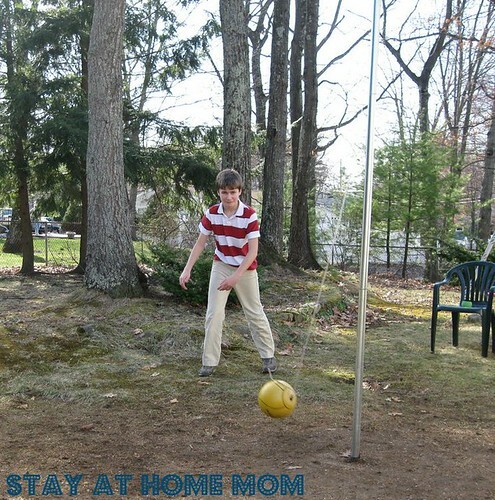 STAY AT HOME MOM: WW #105 "Tether Ball"
We set up our tether ball set. We have really been enjoying playing it. Especially my daughter. She is ruthless playing this! disclaimer: this is not a sponsored post of any kind. we just like our tether ball set. Wow that brings back memories. I haven't played that in forever. Great photos! Looks like a lot of fun. Happy WW! 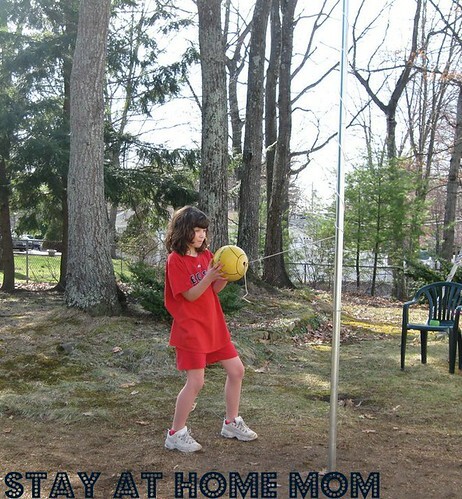 I used to LOVE playing tetherball!!! How fun! I haven't played tether ball in years! I used to love that....such a stress reliever. How fun! I haven't played that game in years either. I loved tetherball as a kid! Hi there, stopping in from WW. I loved playing that!! Following you. Tetherball!!! We used to have one in our backyard. Jeez, having your kids grow up and move away really makes you miss out on fun times! Looks like a lot of fun. I haven't seen tether ball since, well...Napoleon Dynamite and he liked it too. 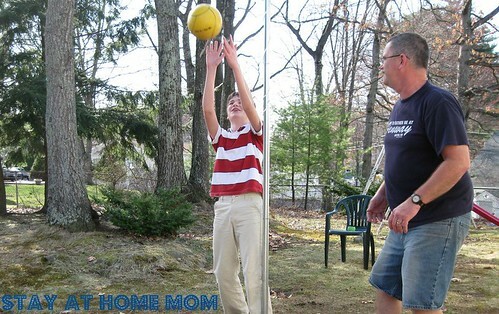 Tetherball is actually one of my fondest memories as a child. I really loved that game. Now I was hit in the face more times than I would have liked, but nonetheless...so much fun!!! Looks like lots of fun! I remember playing this when I was little and enjoying it.